It is cold in the arctic so of course a scarf is a must! 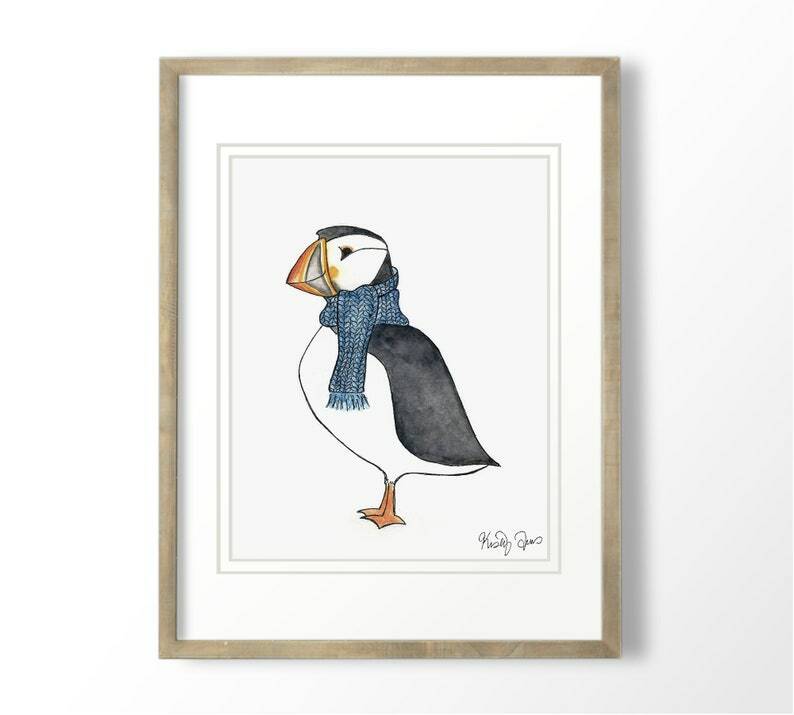 Painted in watercolor and outlined in black ink, this puffin is cozy warm! My little whimsical bird print makes a fun gift for a knitter or keep him for yourself!